Editor's note: Museums and art galleries in Beijing have prepared choice exhibitions for visitors to celebrate the upcoming Spring Festival, or Chinese Lunar New Year, which falls on Feb. 5 this year. Based on a 12-year cycle, each lunar year in the cycle has an animal symbol and 2019 marks the Year of the Pig. The following exhibitions will present how Chinese people celebrate the new year and why pigs are seen as the symbol of wealth in Chinese culture. 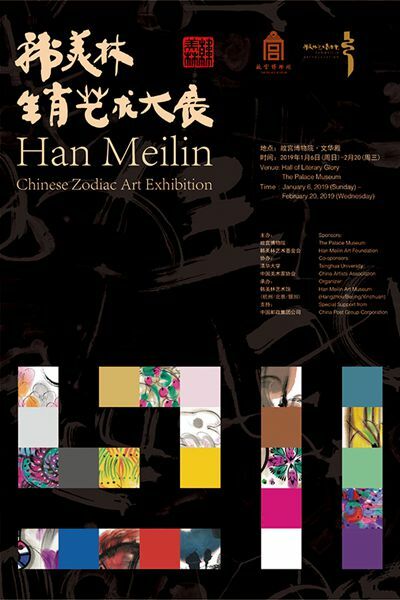 This exhibition presents Han Meilin's depictions of the Chinese Zodiac (also known as Sheng Xiao, the twelve animals) in painting, calligraphy, sculpture, ceramics, purple clay pottery, wood carving, ironwork, furniture and folk art.